we absolutely love grilling, especially in the summer months. 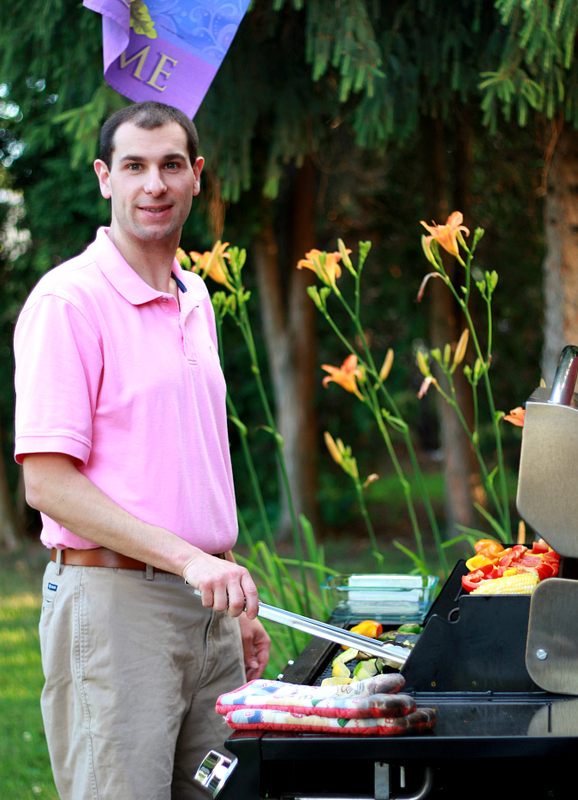 ryan's the "grill master" in our house, and he really does have grilling down to a science. 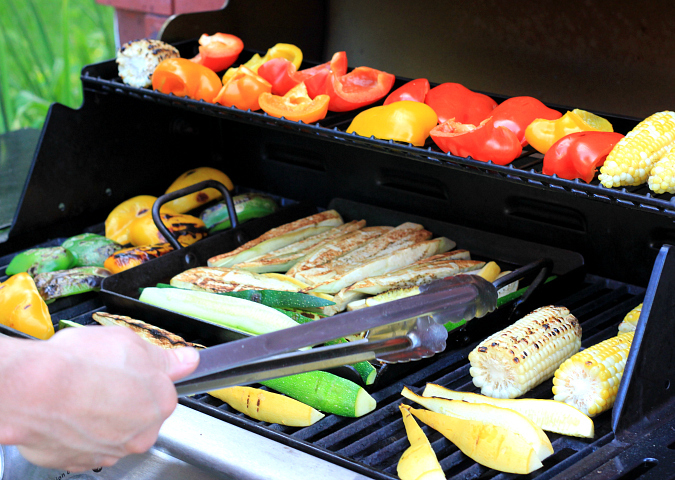 we love to grill everything, including veggies, seafood, pizza, and even dessert. there's just something so right about smelling dinner cooking on the grill on a warm summer evening after a long day at work and then sitting on the back porch eating dinner while enjoying the nice weather. here's to a long summer with lots of grilling! Boy, that sure looks good. Grilled veggies.